Zeta Petroleum has adopted comprehensive systems of control and accountability as the basis for the administration of corporate governance. The Board is committed to administering the policies and procedures with openness and integrity, pursuing the true spirit of corporate governance commensurate with the Company’s needs. To the extent applicable, Zeta Petroleum has adopted The Corporate Governance Principles and Recommendations (2nd Edition) as published by the ASX Corporate Governance Council as its guiding principle on company governance. In light of the Company’s size and nature, the Board considers the current board is a cost effective and practical method of directing and managing the Company. As the Company’s activities develop in size, nature and scope, the size of the Board and the implementation of additional corporate governance policies and structures will be reviewed. The Company’s Corporate Governance Plan is available for download here. 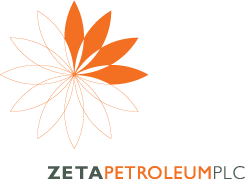 Zeta Petroleum will conduct its business with integrity and adherence to ethical values. Further Zeta Petroleum will conduct its business affairs within the requirements of the Bribery Act 2010 which, came into force in July 2011. This requires UK companies, or any foreign companies doing business in the UK, to ensure that all reasonable steps are taken to prevent acts of bribery. The Bribery Act, applies to our business activities worldwide. The Bribery Act criminalises bribery in both the commercial and public sectors. It is not limited to bribery that could be committed by a company’s own staff but also covers individuals or companies working on a company’s behalf. Successful prosecution under the Bribery Act can lead to unlimited fines for companies and individuals and jail sentences of up to 10 years. The UK Government, as a requirement of the UK Bribery Act, published their Adequate Procedures guidance on 30 March, 2011. These procedures are being implemented via an ongoing programme of risk assessment and staff training to reduce risk of the act being contravened. Any employee found in breach of the associated policies will be subject to disciplinary action up to and including summary dismissal; third parties associated with Zeta who are found to be exposing Zeta Petroleum to bribery and corruption risk will be investigated and appropriate action taken. Any concerns or suspicions relating to bribery and corruption must be reported to a Director.